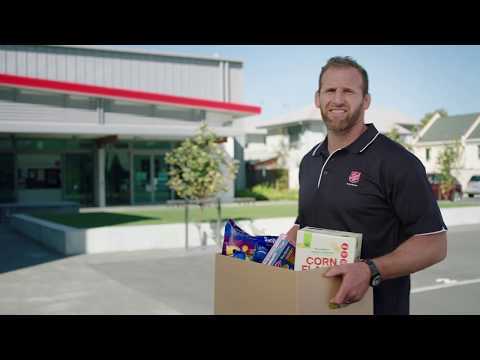 As parents send their kids back to school this week, Countdown and The Salvation Army are encouraging Kiwis to donate back-to-school bundles for those in need via New Zealand’s very first online food bank. The Foodbank Project is a not-for-profit online grocery store that enables food to be quickly, easily and securely donated online to fill Salvation Army food parcels. Since the online foodbank was launched nationally in December last year, Kiwis have donated almost $40,000 worth of products, helping to get many struggling families through the financially difficult Christmas period. The Salvation Army’s head of social services Major Pam Waugh says while the Christmas period is tough, the financial pressures of getting kids to school mean families can also struggle at this time of year. “Hungry tummies mean distracted school children who can’t focus on learning. People donating Back to School lunchbox bundles from the online Foodbank Project will help families give their kids the same great start to the year those from more well-off households enjoy. “What would be great is if people would sign up to make a difference every month by setting up a regular monthly donation for families with school-aged children,’ says Pam. Countdown’s Managing Director Dave Chambers says supporting The Foodbank Project is just one of the many ways Countdown can make life a little better for Kiwis everyday and, in particular, Kiwi kids.